SOPREMA roofing company selected their Mississippi manufacturing location for strategic reasons. Now that they have experienced the Mississippi workforce and community culture, they are more committed than ever. Mississippi offers significant incentives for manufacturers to locate their facilities in the state. However, once they have settled in the Magnolia State, they come to realize that the benefits don’t stop at the planning table. Manufacturers realize the value of Mississippians as a workforce and Mississippi as a source of family, culture, and community. SOPREMA, an international roofing manufacturer that chose Mississippi as a home for one of their United States-based facilities, is one of those companies. All states court manufacturing business. Manufacturing is a business category that is universally appealing as it brings good paying jobs and income into communities. There is always a competition for acquisition when a manufacturing company begins a search — both between states and from outside countries. In 2003, SOPREMA began a search for a site to build a facility with a southeastern presence. While they already had a plant online and in full production in Ohio, they had a need to manufacture closer to, and distribute to, two of their “big population” states — Texas and Florida. Their initial field of contenders for a new plant included Texas, Florida, Alabama, Mexico, and Mississippi. Says Kent Furcron, Mississippi plant manager, “Mississippi was very aggressive in recruiting SOPREMA’s new manufacturing and distribution plant.” As is the case with most manufacturers considering a location, to win the bid for the plant, SOPREMA would have to be satisfied on multiple fronts, including site, time to distribution, proximity to suppliers, and workforce. Mississippi assisted in selecting an ideal, level, shovel-ready location just 1/2 mile from Interstate Ten (I-10). The location is close to port and rail. It put SOPREMA within one day of their primary customer base. In addition, the southern Mississippi location has convenient access to several asphalt refineries and terminals, a primary material in manufacturing their roofing products. In addition, Smith expects that SOPREMA has as much as a 35%-50% increase in sales in Mississippi because they are local. Since the Mississippi plant has been established, other Mississippi benefits have come to light for SOPREMA. SOPREMA has been very pleased to discover the caliber of people who have entered their workforce. Says Smith, “They are dedicated and hardworking. They understand the nature of competition and a competitive workplace. Mississippi culture aligns with ideals SOPREMA tries to foster in their own company culture. People feel like they are part of something, not just employees of a big corporation. They have an understanding of how their individual efforts impact the business. The loyalty the company nurtures results in a happier workforce and lower turnover. Manufacturers discover as much about the benefits of locating in Mississippi after they have already located here as they do when they weigh the numbers and location advantages before making the commitment. Some benefits don’t find justice on the pages of a report. They have to be felt and experienced to be truly understood and appreciated. 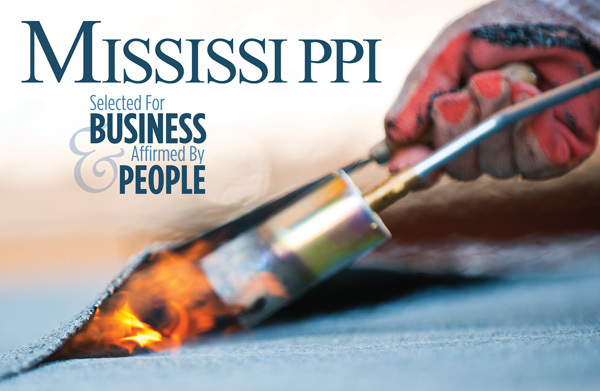 While Mississippi attracts great companies with its incentives, it is the people, the culture, and the nature of the workforce that affirm the decision.